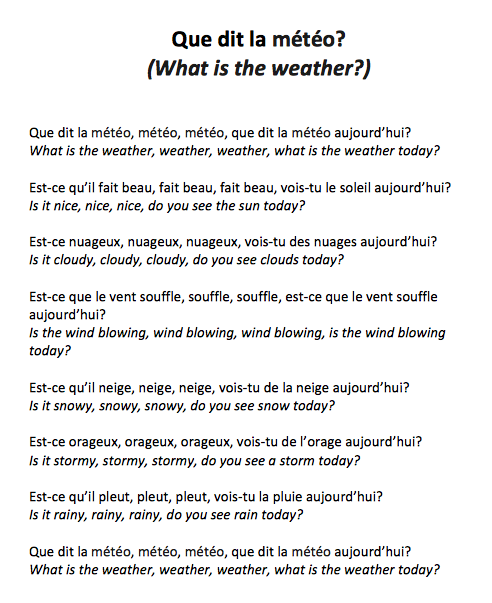 “Que dit la météo?” (what is the weather?) is another song which I created by translating a song by Dr Jean. Her songs are lots of fun and very catchy and the French version is a hit with my students. 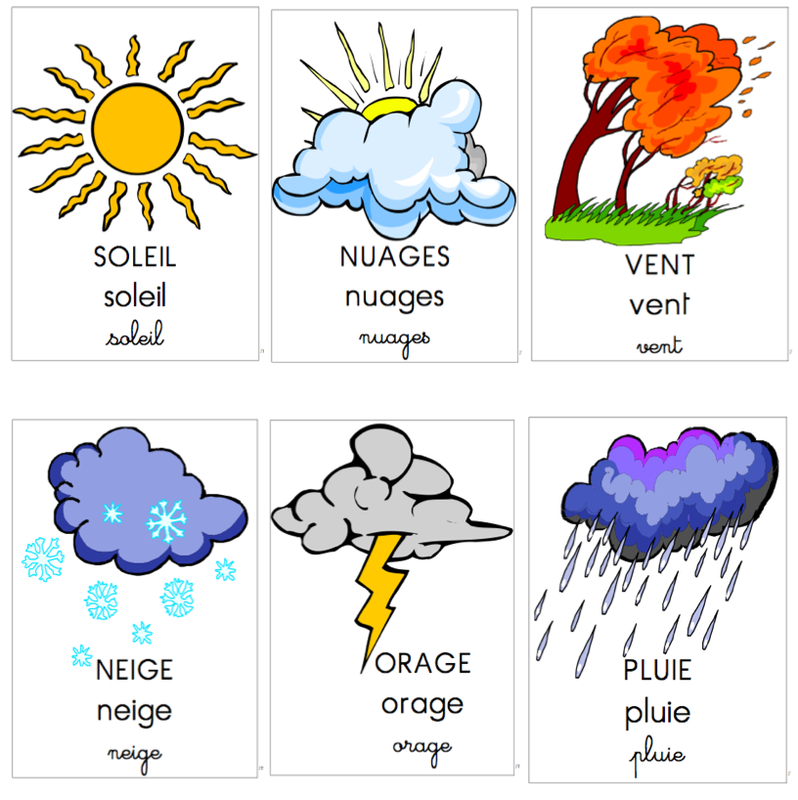 I use flashcards from La Maternelle de Moustache and will soon transition to a weather wheel also from Moustache. I have attached my lyric sheet with translation and two videos of the song (one with flashcards and one with the class) as well as the Maternelle de Moustache flashcards that go with the song. 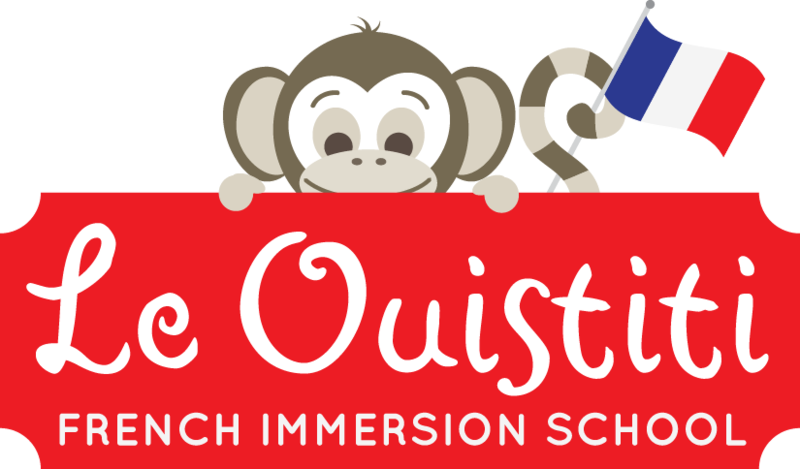 Ta video est très inspirante surtout pour les enfants qui apprennent le français comme une seconde language.